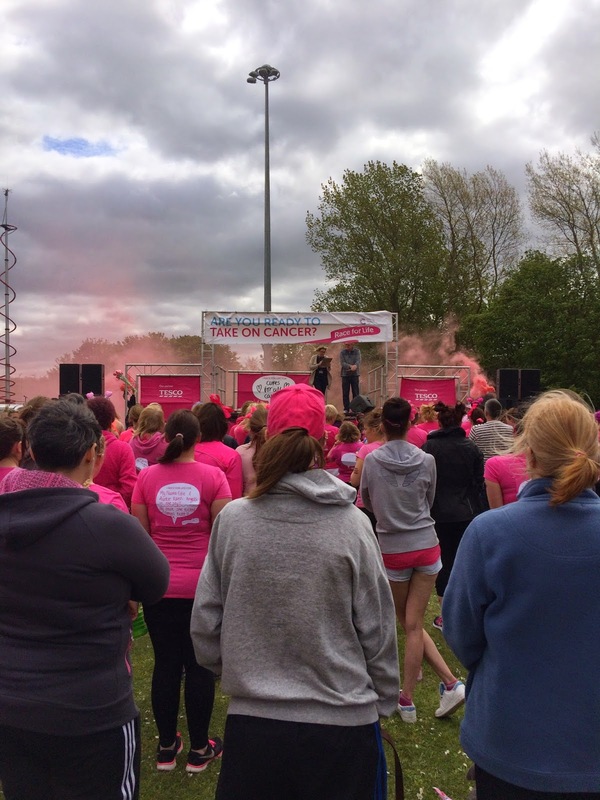 Lifestyle: Race for Life - Cancer Research UK. So you might remember from my hilarious sports bra review that I have been in training for Race for Life. When I say training I use that term very loosely! 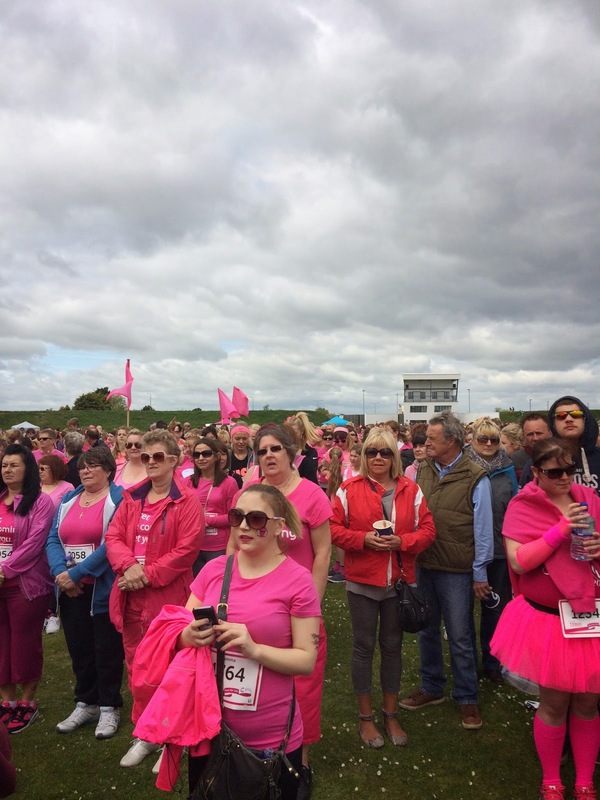 But none the less, today me and my bestie Giselle headed to Cleethorpes to take part in the 5K race. 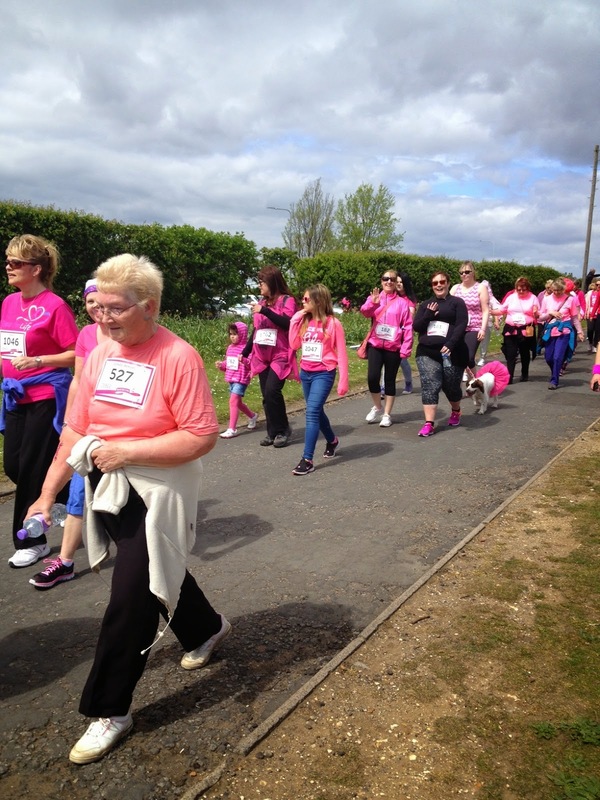 Over 2300 women gathered at the Meridian Showground to run, jog or walk the 5K. We're really lucky living on the coast as it's a really pretty coastal walk round the boating lake and the beach side. After a short warm-up, we gathered in our groups (we walked it) and headed off. 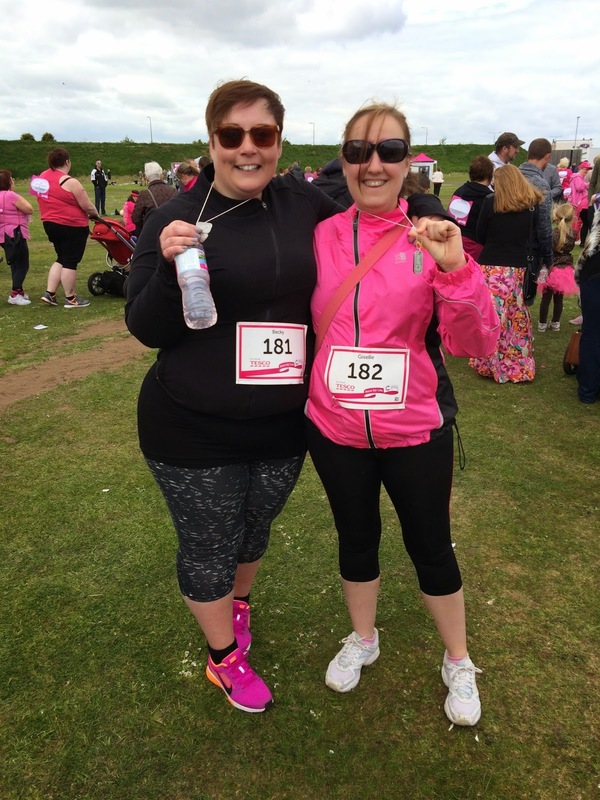 This was my first Race for Life, the atmosphere was really lovely and a wee bit emotional at times, but as we walked round, for me, it was just a really nice opportunity for two busy best friends to catch up and have a good natter whilst raising money for Cancer Research. Michael, Poppy and my dad watched from the sidelines and waved us on and were there at the finish line to see me and Giselle do a last minute sprint to pick up our medals. We did it in about 50 minutes, which wasn't too bad! We had such a lovely day, I can't recommend the experience enough! If it's something you've been thinking about, then please just get on the website and get registered for your local race. You won't regret it, I promise! P.S. 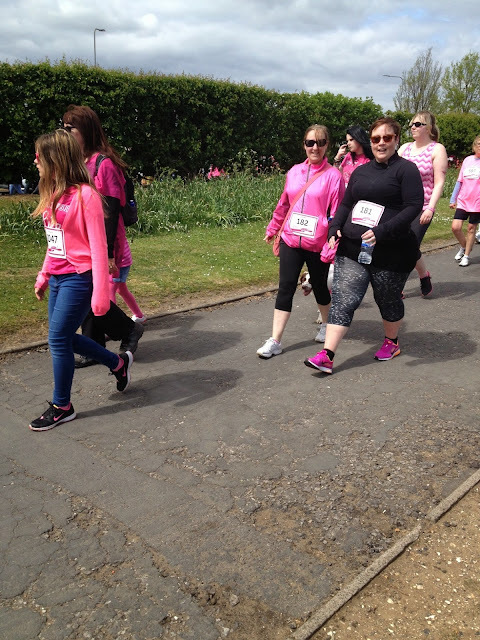 If you'd still like to donate, my Just Giving page is still open!